Four new sets of fascinating records containing the details of officers and enlisted men who served in the Royal Artillery are now available to search at Findmypast. The British Army, Royal Artillery War Commemoration Book 1914-1918, , Royal Artillery Officers 1716-1899, Royal Artillery Officer Deaths 1850-2011 and the Royal Artillery, 80th Field Regiment records have all been added in the latest installment of Findmypast Fridays. The Royal Regiment of Artillery, commonly referred to as the Royal Artillery (RA), is the artillery arm of the British Army, and has seen thousands of Irishmen serve over the years. It actually consists of a number of regiments that throughout history have played a wide variety of essential roles on land, sea and in the air. The first recorded use of cannon fire on a European battlefield was by Edward III at the Battle of Crecy in 1346 during the Hundred Years' War. Henry VIII made artillery a semi-permanent part of his army in the sixteenth century but the need for a permanent body of artillery was not recognised until 1716 when regular companies were raised by Royal Warrant of George I. The title "Royal Artillery" (RA) was first used in 1720 and its members eventually were given their nickname; “The Gunners”. The RA has the proud distinction of involvement in every single campaign that British Forces have participated in since the regiment’s formation. This is reflected in their motto “Ubique”, meaning everywhere. It is estimated that since May 1716, over 2.5 million men and women have served with the regiment. 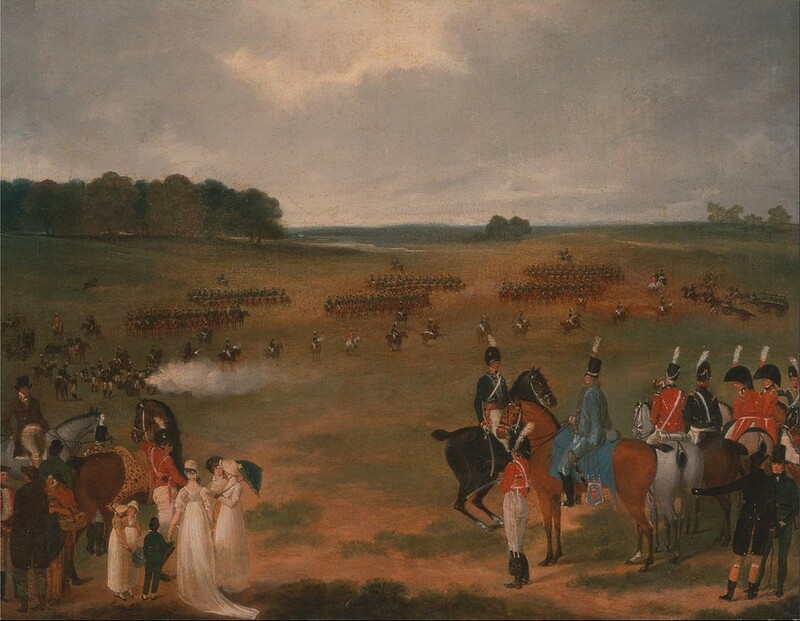 Historically, the regiment’s growth had been led by the changing nature of warfare. The Napoleonic Wars saw the first real need to provide fire-support for cavalry so a formation of Horse Artillery was created in 1793. The Crimean War saw yet another drastic increase of the Royal Artillery and the abolition of the Board Ordnance, which had until then controlled the regiment. The RA was now under the direction of the War Office along with the rest of the army and expanded even further in 1862 when the regiment absorbed the artillery of the British East India Company. The First World War saw the Royal Artillery play a truly decisive role in operations. In his book, ‘White Heat’, military historian John Terraine said; “The war of 1914-18 was an artillery war: artillery was the battle-winner, artillery was what caused the greatest loss of life, the most dreadful wounds, and the deepest fear”. 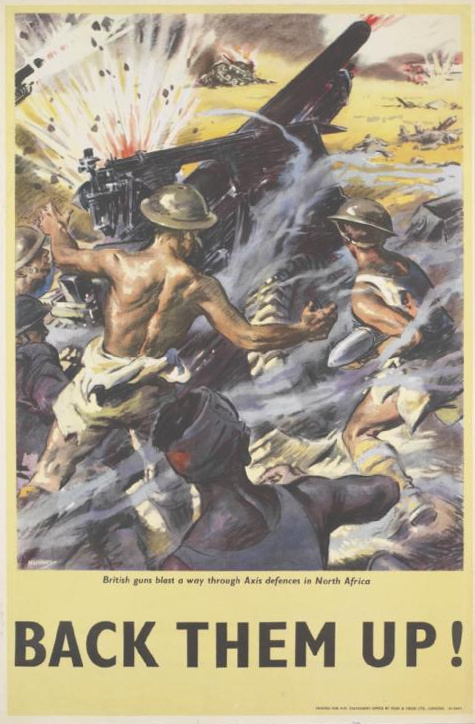 Artillery certainly proved itself to be the main influencer of tactics and was incorporated into strategies that were used by the belligerents to break the stalemate at the front. It carved out the hellish landscape of the Western Front, caused untold destruction and created the appalling conditions now synonymous with trench warfare. This led to further expansion and by 1917 there were 1,769 batteries in over 400 brigades totalling over 548,000 men. At the time of the Great War, the RA was comprised three core elements; The Royal Horse Artillery: a mobile light force of small calibre horse-drawn guns, The Royal Field Artillery: the most numerous arm of the artillery, responsible for medium calibre guns and howitzers deployed close to the front line and The Royal Garrison Artillery. The RGA was developed from fortress-based artillery located on British coasts and from 1914, when the army possessed very little heavy artillery, it grew into a very large component of the British forces. It was armed with heavy, large calibre guns and howitzers that were positioned some way behind the front line and had immense destructive power. The regiment’s role evolved and expanded rapidly during the war. Initially, their most important function was supporting infantry attacks and, in early offensives, nearly all fire was directed at enemy lines in the hope that it would eliminate barbed wire and destroy trenches. Sadly the faith placed this method proved disastrous as the firepower used was rarely sufficient to clear the skilfully constructed German defences. Even after the heaviest of bombardments, defenders would emerge from their dugouts and mow down advancing troops in their thousands. German artillery could also easily stop British attempts to advance as the Germans were skilled engineers who usually built well positioned, concealed gun emplacements. The devastating effects of the enemy guns and the knowledge that trenches often survived bombardments led to a change in the tactics and role of the RA. It was now essential for gunners to learn how to locate enemy batteries and surprise them with enough firepower and accuracy to knock them out quickly. Attention also turned to cutting enemy communications as the German guns could not operate without instructions from observation posts. This was eventually achieved through a combination of technological developments and hard-learned lessons and the Royal Artillery soon became experts at locating and knocking out enemy guns almost as soon as they opened fire. This proved to be a very significant factor in winning the war. During the Second World War the Regiment expanded in size and scope yet again. By 1939 it had become fully mechanised and had established specialised Anti-tank and Anti-aircraft units. Over the next six years they became even more versatile as Gunners found themselves fighting in the air, on land and at sea. Gunners began flying spotter planes, parachuting and landing by glider, at sea they manned the guns of armed merchantmen and, on the ground, they not only manned their guns but also fought as infantry, and worked a engineers, building roads, landing strips and defensive positions. By the end of the war there were nearly 700,000 serving in the Regiment - about two-fifths of the British Army and about equal with the whole of the Royal Navy. To date, a total of 62 VCs have been awarded to members of the Royal Artillery and a number of members have gone on to achieve fame in civilian life. War poets Edward Thomas and John McCrae, boxer ‘Bombardier’ Billy Wells, Prime Minister Edward Heath, comedians Spike Milligan and Frankie Howard, actors Anthony Quayle and Harry Andrews are all former Gunners. Explore our new and existing Royal Artillery records today to celebrate the contributions made by one of the most historically significant branches of the British Army.